Alex McFarland is a Christian Apologist that is organizing Project 2026. Project 2026 is described as "A nationwide initiate to see Christianity's place in society restored to maximum strength by America's 250th birthday." Basically, they blame anything they deem as 'bad' about America is the fault of Christian faith being everywhere and involved in everything. Odd that he would complain that there isn't enough Christianity around when at least 78.4%of Americans are Christians. But I have a feeling he would claim that many aren't true believers or worshiping enough after taking a look at his propaganda site. Alex, you’ve got Project 2026, I want you to talk a little bit about Project 2026 because in this project you’re not just talking about what’s going on in 2013, you’re looking ahead, a forward view. 2026 is going to be the 250th anniversary of our founding, what is Project 2026 all about? As you see here, freedom of religion is guaranteed, but an establishment of religion is disallowed. 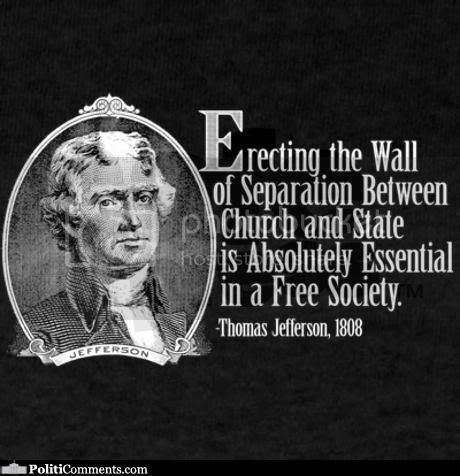 Thomas Jefferson described this construct as a "Wall of separation between church and state." And that, my friend, is the very definition of Secularism. Despite what you would have your blind and horribly misinformed followers believe, Secularism is NOT inherently irreligious. Quite the contrary. Just look at the secular first amendment. It does work to keep and church separate, but also grants the freedom to worship the religion of ones choosing. What's anti-religious about that. All secularism is really concerned with is keeping religion from corrupting the government, and from the government corrupting religion. The is not a threat to democracy, but a proud moment and product of democracy. Furthermore, your 'four groups' are, lets say... interesting. You claim that they are working to 'secularize and destroy America'. As I've already shown, America always has been a secular nation, so that claim is patently false. Second of all, as an atheist, I find the accusation that we are trying to destroy America as an insult and an outrage. If anything, the work to promote secularism is work to save and protect America, not destroy it. Humanists: I'm going to assume that you are referring specifically to Secular Humanists. In that case, the secularism is right there in the name. So check on the promotion of secularism. But promoting the mainstream adoption of atheism? Every Humanist I know simply wants equal treatment, not to have Humanism (or atheism) be the new de facto religion. Wanting to destroy America? You can't be serious! 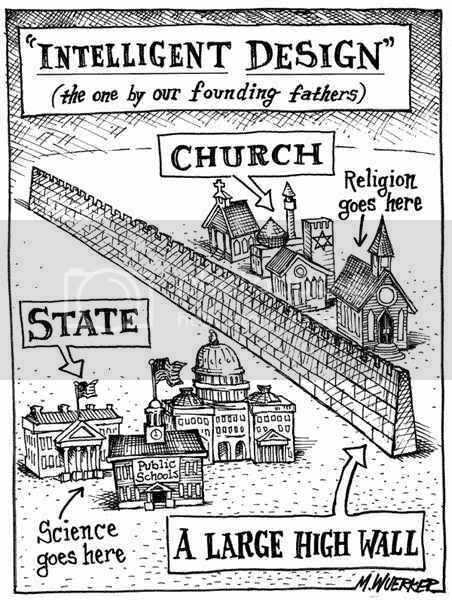 Atheists: One thing is true, and that most atheists do support the constitutional separation of church and state. If that causes us to be labeled as 'secularists', so be it. I for one will wear it as a badge of honor. Wanting to 'mainstream atheism'? Don't get me wrong, the idea of more people looking at the world rationally is an appealing one. But I would rather they reach that beautiful insight on their own, rather than force it down their throat at 7:30am on a Saturday. My main concerns are getting atheists the equal treatment we deserve, right unjust perceptions, and protect the first amendment. As for destroying America... not on the agenda. But I'll tell you what is. Returning America to the ideals it was founded on. Justice and freedom for one and all. Militant homosexuals: Was the militant really needed here? I mean, seriously... all it does is make you come across as a bigot. Oh how militant of them to fight for rights that have been unfairly kept from them. Lets class them together with those militant African-Americans who wanted equal rights, those militant woman who wanted to vote, and those militant colonists who wanted representation to go with their taxation. When you get right down to it, there's nothing inherently secular about homosexuality. However, secularists tend to be the ones in favor of granting 'gays' their unjustly denied rights, so the homosexual groups tend to stay in league with secular groups. Homosexuals wanting to may atheism mainstream? How does that work, when a great many homosexuals are themselves religious. You can be Christian and gay at the same time, despite what Alex would probably tell you. As for them wanting to destroy America... Again, a ridiculous conclusion that does more to highlight his narrow-minded picture of what he wants American to be, rather than reflecting reality. Muslims: Lets face it. the only group the Christian extremists hate as much as atheists is Muslims. They usually like to paint a picture of Muslim extremism as the norm. 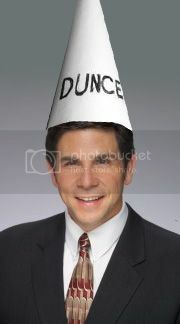 Muslims that are either secret terrorists or want to institute Sharia Law as the law of the land. Since this narrow-minded view that ignores the peaceful non-confrontational Muslims is that one that they tend to carry, that's the one I'll examine here. Do these Muslims wish to mainstream atheism? Absolutely not! In fact, the penalty of apostasy in Islam in no less than death! But what about the claim that these Muslims are working toward a secular cause? Again, absolutely ridiculous! You can't claim that Muslims wish to enact Sharia Law and also claim them to be secular. The simple fact is that McFarland and those like him, hate Muslims for wanting to do in the name of Islam, what they want to do in the name of Christianity. They scream that the Muslims want to set up a Muslim nation, with Muslim laws. Likewise, they wish to have a Christian nation, with Christian laws. Pot, meet kettle. Why is it so horrible for the Muslims to want to do, what he want's to do? How does he even begin to pant this blatant want for a theocracy as patriotic, when it' in defiance of our secular roots? I repeat the 'American' idea that he is trying to sell is a Theocracy. This is far from what America is and is closer to an attack on democracy that anything he mentioned. McFarland and his sad 2026 event are simply grabbing at the ignorance of those that think like him, and is working to deceive and work toward his personal wants and benefits... History be damned. So I think it's time for us to meet him and his lies head on and give him the battle of wits where he will be severely outgunned. Hell of a blog and a good read, anyone who has studied history will recognize McFarts tactics, those who ignore history are doomed to repeat it(excuse the not so accurate quote), he has particularly singled out groups that many right wing extremist have a phobia for, that's not to say there are non centre and left, but we know where the bias is. I start to get nervous when I see campaigns like this, history shows just how easily ignorance can be used to rally the crowd, so I'd say this, don't take this lightly, do not laugh him off, take it very seriously and be aware, if anyone can drag the USA down, it's people like him. I'm afraid there will always be people who want to be told what to think and hence, there will always be religion but this guy McFarland has set the bar really low. I'm a little optimistic because of what I have seen lately. People are not afraid of saying "none" when asked what religion they belong to. (I love doing that and watching the expressions) Survey numbers for atheists are up. We will never approach places like the Czech Republic at 80 -90% but we may see a time when belonging to a religion is not a given and that will be a glorious day. I think you are absolutely right to sound the alarm over this kind of power grab. There is money and influence in the ignorance industry. This demagogue looks like he is going for both at everyone's expense. We have a preacher in this area that while no Joel Olstein, has a considerable following. He is a born entertainer. He wears sweaters and jeans on stage, has rock bands play music, rides a Harley up on stage and has people hoodwinked into thinking they should give him 10% of what they make. Is that money tax-free? I think so. What a racket! P.T Barnum would be proud. "...four groups that are actively working to secularize and destroy America: humanists; atheists; militant homosexuals; and Muslims." "militant homosexuals" - who are they? The ones he sees in his head every night?